Can You Love God and Hate Theology? HomeBlogNewsletter ColumnsCan You Love God and Hate Theology? My theology is an enigma to most people. It’s an enigma to me, too, but I’m okay with that because I don’t much care about theology, at least not how most folks pursue it today. People often want to engage me in theological discussions, but I’m only good for about ten seconds. Though I can talk about God, faith, and the Bible all day, don’t turn the conversation into an intangible abstraction. 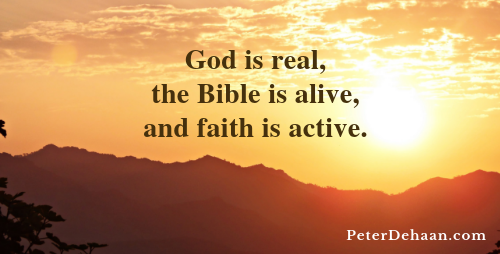 God is real, the Bible is alive, and faith is active. So let’s not bog down our discussions in theoretical constructs. The reason people try to figure out my theological stance is understandable; it’s human nature to want to categorize people. They want to place me in a theological box. Once I’m in a box I’m easier to comprehend, and then they can choose to accept me or shun me. But I don’t fit into their neat packages, the ones that carry convenient labels. As they ask probing questions, I can see their heads about explode because my answers transcend the various theological perspectives they seek to insert me into. They can’t figure me out or how to catalog my beliefs. Do I align with their views? Or am I one of those other people? You see, I don’t fit nicely into any theological camp; I bounce around a lot. Q: What’s your view on baptism? A: We should probably do it. Q: Are you pre-trib or post-trib? A: It doesn’t matter. What happens will happen. Q: How do you understand the creation account in the Bible? A: God made us. The details aren’t relevant to the fact that I’m here. Q: Do we have free will or are we predestined? Q: Are you Reformed, Arminian, Calvinist, Baptist…? A: Isn’t Jesus the point? Q: Well, are you Mainline, Evangelical, or Charismatic? A: I’m a little bit of each. Q: What’s the best translation of the Bible? A: The one that we actually read. Q: What are the essential elements of your faith, the non-negotiables? A: Just one: follow Jesus. Q: But what about _______ ? I don’t study theologians. I study God, which is the most basic definition of theology anyway. But I don’t study God to stuff my brain with facts and theories. I seek God so that I can better know him, more fully follow him, and live in community with him. Perhaps that’s my theology. Welcome back. Or was just. It getting these? This is pure you. And I couldn’t agree more. I’d say “what difference does it make?” But that’s been taken so I won’t. But you get the idea. You got it. Susan, you know me well!